Thanksgiving word search puzzles are a great way to reinforce vocabulary and spelling skills for children. Kids just won't be able to resist these word searches with all the turkeys, pilgrims, and Thanksgiving food decorating them! They are a perfect addition to a kids table at the Thanksgiving meal or a good activity if you are traveling for the holiday. The Thanksgiving word search puzzles are organized by skill level. Easy contains 15 hidden words or less, medium-level which includes 16-29 words, and challenging which are puzzles with more than 30 hidden words. Most of the word search puzzles below are printable but there are also a few online puzzles. For a fun game, create your own Thanksgiving word search puzzle. When you finish these, try out some fall word search puzzles or other holiday word search puzzles. Keep the learning going with even more free Thanksgiving worksheets for math, reading, and writing. This is the year to make it the best Thanksgiving ever with Thanksgiving freebies to help you celebrate and be thankful. These easy printable Thanksgiving word searches are just right for children in 1st through 3rd grades. All the Thanksgiving word search puzzles below have 15 hidden words or less. Pumpkin pie word search puzzle: Find 9 hidden words in the leftover pumpkin pie. 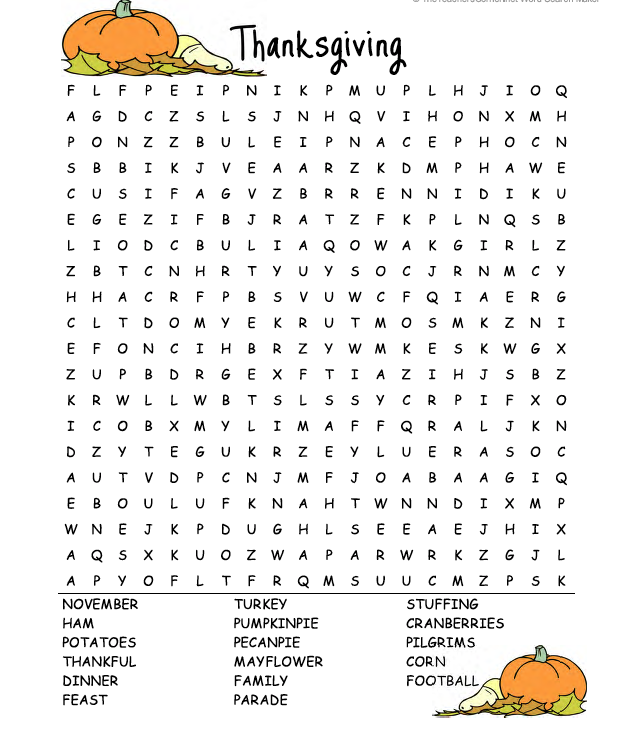 Thanksgiving harvest word search: Find 9 Thanksgiving words to complete this puzzle. Printable Thanksgiving word search puzzle: 11 hidden words need to be found in this printable Thanksgiving word search puzzle. Thanksgiving word search packet: Here are 4 Thanksgiving word searches, each with 11 words to find. This is perfect for K-2nd graders. Thanksgiving vocabulary word search: An adorable word search puzzle that focuses on popular Thanksgiving vocabulary words. Thanksgiving day word search placemat: Not only does this Thanksgiving Day placemat include a word search puzzle with 15 hidden words, but it also includes a maze and picture to color. This list has Thanksgiving word search puzzles that have between 16 and 29 words. Kids in 4th and 5th grade will enjoy and be challenged by these puzzles. Happy Thanksgiving word search: This Thanksgiving word search puzzle is slightly tougher than the easy puzzles with 16 words to find. 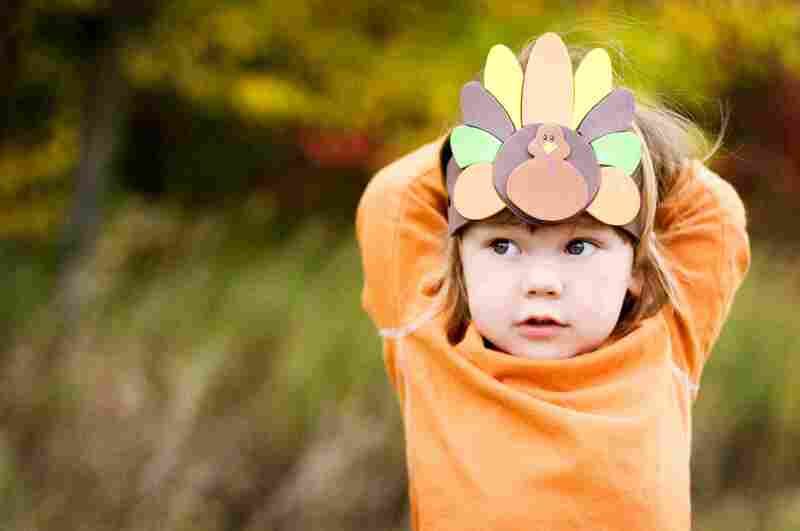 Thanksgiving: There are 17 Thanksgiving-themed words hiding in this puzzle. Thanksgiving dinner word search: This adorable Thanksgiving word search puzzle is in the shape of a turkey! You'll need to find 18 words to complete it. Kids Thanksgiving word search: Find 18 words in this Thanksgiving word search puzzle to be the winner. Harvest fruit & vegetables search: Find 21 fruit and vegetables hidden in this Thanksgiving word search. Turkey word search puzzle: This Thanksgiving word search puzzle is shaped like a turkey! Find 26 words to solve it. Thanksgiving day: Find 27 hidden Thanksgiving words in this free word search puzzle. You have to be really good at word searches to successfully find all the hidden Thanksgiving terms in these word searches! They have 30 words or more and are just right for children in 6th grade or older. Thanksgiving word search: Find 30 hidden words in this puzzle shaped like a turkey. Secret message Thanksgiving word search: Reveal a hidden message after you find all 35 words. These Thanksgiving word search puzzles below can all be completed online. Online Thanksgiving word search: Find 15 Thanksgiving words to complete this online word search puzzle. Online Thanksgiving word find challenge: In this online Thanksgiving word search puzzle you'll need to find 10 words in 5 minutes. There is also an option to print this puzzle.